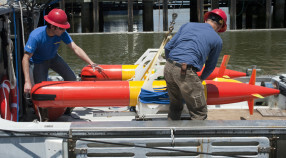 Dec 20, 2013 – MBARI engineers Brian Kieft and Thomas Hoover were two miles offshore on the R/V Paragon launching a long-range autonomous underwater vehicle when they received an emergency call from the Coast Guard Thursday afternoon. A kayaker had fallen out of his boat, and since his boat was flooded and awash, time was of the essence. 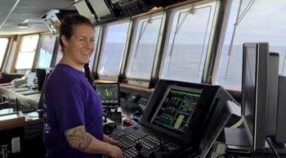 Dec 17, 2013 – Miriam Anthony loves her role as second mate of R/V Western Flyer. 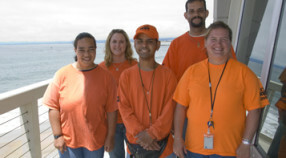 As a key player on MBARI’s largest research vessel, she has a vast range of responsibilities. Dec 9, 2013 – Since World War II, US nautical charts have shown seven “chemical munitions dumping areas” along the Pacific Coast between San Francisco and the Mexican border. 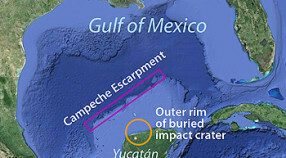 However, little or no information is available about the amount, location, or nature of the materials that were dumped at most of these sites. Dec 6, 2013 – MBARI has collected seawater data using monitoring buoys, called moorings, in the outer waters of Monterey Bay for over 20 years. 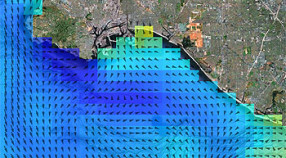 Two moorings, M1 and M2H, are currently in operation and equipped with many instruments that analyze over a dozen properties of its surroundings. 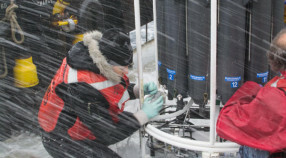 Nov 18, 2013 – Marine scientists want to know what the increasing levels of human-generated carbon dioxide in the ocean mean for the ocean’s ecosystems and inhabitants. Last week, Jim Barry’s research group collected 12 tanner crabs from the seafloor to get a better understanding of how ocean acidification affects the behavior of sea animals. Nov 11, 2013 – Over one thousand miles wide and three thousand miles long, the Sargasso Sea occupies almost two thirds of the North Atlantic Ocean. Within the sea, circling ocean currents accumulate mats of Sargassum seaweed that shelter a surprising variety of fishes, snails, crabs, and other small animals. 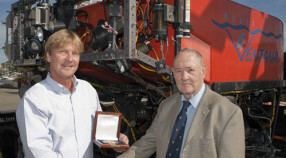 MBARI was honored to host this year’s David Packard Distinguished Lecturer, James R. McFarlane, the founder and president of International Submarine Engineering, Ltd (ISE). 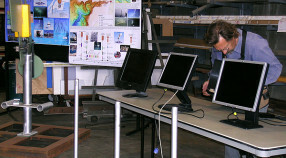 McFarlane contributed to MBARI’s formative years as a critical advisor to David Packard and as a participant in several engineering reviews. Scientists are extremely interested in the Arctic seafloor because it has undergone very dramatic changes due to climate change. 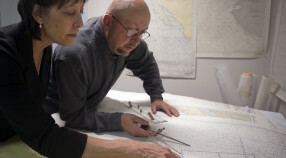 In collaboration with Canadian colleagues, MBARI researchers led by Charles Paull embarked on a Canadian icebreaker, the CCGS Sir Wilfred Laurier, to explore the unique undersea geology of the area. 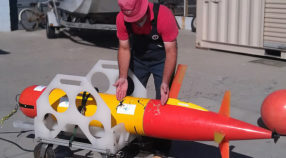 MBARI's underwater robot, Tethys, just came back from two continuous weeks at sea, where MBARI scientists used it to study harmful algal blooms as part of the Fall 2013 CANON experiment. 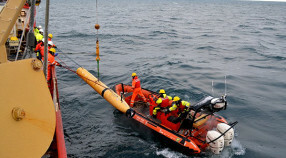 When the researchers pulled the long-range autonomous underwater vehicle (LRAUV) from the water, they discovered large scrapes on its sides. 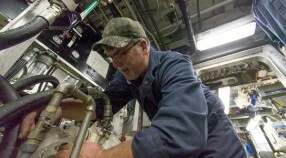 At least one engineer is on duty around the clock whenever the research vessel Western Flyer is underway, ready to spring into action if an alarm sounds or any equipment malfunctions. The Sampling and Identifying Marine Zooplankton (SIMZ) project of Senior Scientist Robert Vrijenhoek's laboratory aims to further understand the ecology and genetic diversity of marine zooplankton. MBARI team members and outside collaborators sampled from the R/V Rachel Carson to target subsurface chlorophyll layers in northern Monterey Bay. 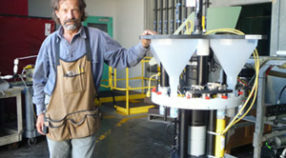 MBARI Mechanical Engineering Technician Larry Bird has built a sampling system that is an essential component of an instrument called the Lagrangian Sediment Trap (LST) that collects particulate organic matter sinking in the ocean. Aug 30, 2013 – Many deep-sea animals such as anglerfish use parts of their body as lures to attract prey. Some deep-sea squids may use this strategy as well. 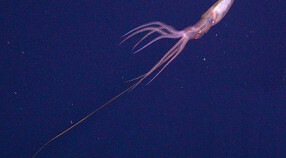 In a recent paper, researchers associated with MBARI describe a deep-sea squid that appears to use a different method to lure prey—its tentacle tips flap and flutter as if swimming on their own. During the R/V Western Flyer's ongoing expedition off the coast of Northern California, a brief visit was arranged with the Schmidt Ocean Institute's (SOI) research vessel Falkor, which was passing through the same area. 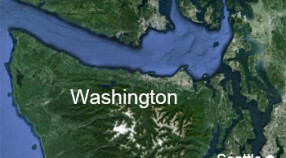 Aug 1, 2013 – Washington state is one of the nation's most prolific areas for shellfish harvesting and aquaculture. 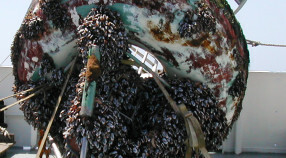 Yet, as in many other areas, Washington's shellfish may cause seafood poisoning when certain types of harmful algae or bacteria become abundant in local waters. 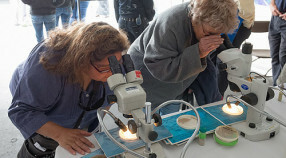 On July 20, MBARI opened its doors to the public, providing visitors with a once-a-year opportunity to talk with scientists, engineers, and marine operations crews about their work. 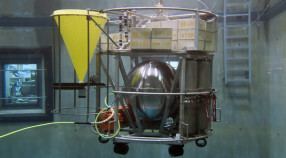 Jul 16, 2013 – A unique field experiment being conducted off the coast of Portugal this week combines ocean robotics and marine biology in a complex aquatic dance. 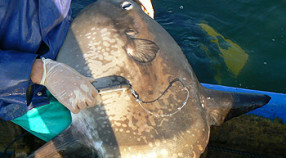 Researchers are using a fleet of robotic vehicles to track over a dozen Mola mola (ocean sunfish) as they forage across the coastal ocean. MBARI Mechanical Engineering Technician Larry Bird sets up video monitors for MBARI's once-a-year open house. 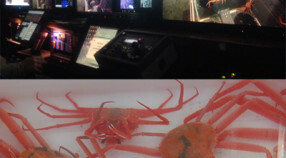 MBARI's video lab staff review and annotate all of MBARI's deep-sea mission video recordings. They also publish their own research in science journals, and produce all of MBARI's YouTube videos, among many other things. 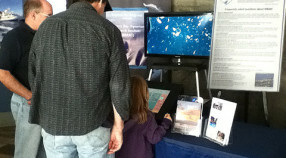 On June 8 and 9, MBARI researchers, including Fred Bahr (at left in photo), shared their enthusiasm for ocean research with visitors to the Monterey Bay Aquarium, as part of the aquarium's celebration of "World Oceans Day." 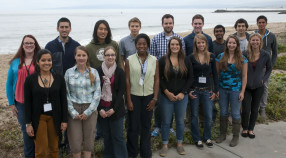 MBARI welcomes our 2013 interns. The intern program is designed to provide professional development opportunities to college students and educators. From over 200 applications, 18 undergraduate and graduate students were selected. They come from around the United States, the United Kingdom, Spain, and Colombia. 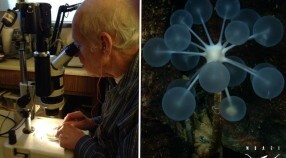 MBARI researcher Lonny Lundsten is in British Columbia this week to learn techniques for the scientific description of sponges. Experts from the University of Victoria and the Khoyatan Marine Laboratory are teaching him how to prepare specimens for different types of scanning electron microscopes. 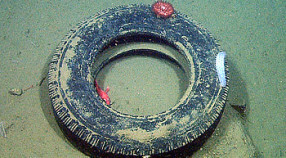 Jun 5, 2013 – Surprisingly large amounts of discarded trash end up in the ocean. Plastic bags, aluminum cans, and fishing debris not only clutter our beaches, but accumulate in open-ocean areas such as the "Great Pacific Garbage Patch." 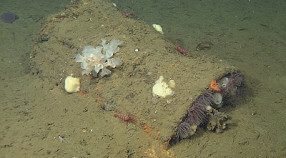 Now, a paper by researchers at MBARI shows that trash is also accumulating in the deep sea, particularly in Monterey Canyon. 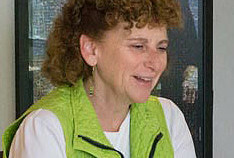 Nancy Barr manages MBARI's web and print projects, often working with MBARI President and CEO Chris Scholin, as shown in this photo. Nancy spent much of the last five months writing, editing, and selecting images for MBARI's 2012 Annual Report, copies of which just arrived from the printer this week. Teresa Cardoza describes her job as being "the liaison between marine operations and research and engineering.” Teresa keeps track of every detail to make sure the ships, vehicles, and crew are ready so that each mission will be successful. 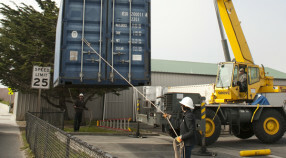 She arranges for facilities and local services at ports from Canada to Mexico. Engineers Brian Kieft, left, and Brett Hobson loaded two long-range autonomous underwater vehicles onto a small boat for testing this week. The newest vehicle is longer to accommodate additional science instruments. On May 2nd the research vessel Point Sur returned to her home port of Moss Landing after a five-month, 19,900-mile trip to Antarctica and back. 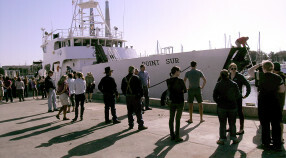 Operated by Moss Landing Marine Laboratories, the Point Sur shares MBARI's dock with MBARI's research vessels, the Western Flyer and the Rachel Carson. 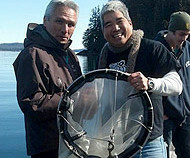 MBARI's Senior Education and Research Specialist George Matsumoto participated in this week's Tribal Marine Science Workshop at NOAA/University of Alaska's Kasitsna Bay Laboratory in Alaska. The Deep Environmental Sample Processor (D-ESP) is being tested in MBARI's test tank this week in preparation of a six-month deployment on the Monterey Advanced Research System (MARS) cabled observatory. 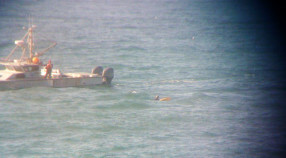 The blue shipping container may not look like much, but it contains MBARI’s D. Allan B. autonomous underwater vehicle. 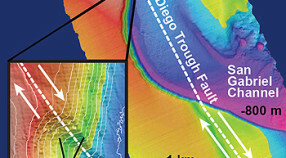 This one-of-a-kind robot is specially equipped to create detailed maps of the deep seafloor. MBARI Administrative Assistant Mariah Salisbury gained a new appreciation for the rigors of ocean research during her last cruise aboard the R/V Rachel Carson with MBARI's Biological Oceanography Group. 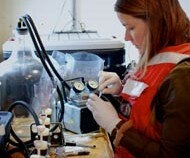 But she didn't let the cold and wet deter her from preparing the water-sampling bottles on the CTD-rosette. 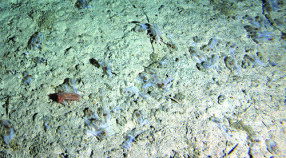 Mar 29, 2013 – Miles below the ocean surface, diverse ecosystems flourish at hydrothermal vents. Without sunlight, animals live off of bacteria that thrive on chemicals billowing out of the Earth's crust. These strange communities appear entirely detached from life on land. Mar 20, 2013 – Killing wildlife and occasionally sickening people, harmful algal blooms can be more than just a nuisance. But predicting these blooms is difficult—even more difficult than predicting the weather—because blooms result from a dynamic interaction between both physical and biological processes. Over the weekend, MBARI researchers conducted Ecology and Oceanography of Harmful Algal Blooms (ECOHAB) experiments on the San Pedro Shelf off Southern California. 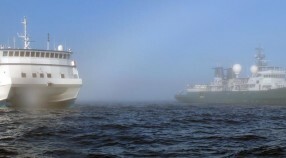 When the research vessel Rachel Carson set sail for Southern California last week, it was equipped with two autonomous underwater vehicles (AUVs) to perform very different kinds of missions. 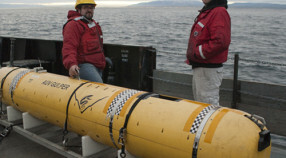 One AUV is mapping the seafloor to identify areas with interesting chemical features, such as gas venting from the seafloor. Last weekend, MBARI researchers Judith Connor and Jim Barry talked about changes in ocean chemistry during performances of Ocean—a science-inspired dance program—at San Jose State University. Ryan Smith, a researcher visiting MBARI from the Queensland University of Technology, launches his "Ecomapper" AUV from the beach in front of MBARI. 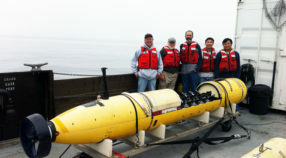 The AUV carried instruments to measure water temperature, salinity, dissolved oxygen, turbidity, and algae. 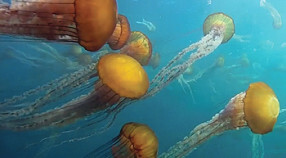 Feb 15, 2013 – A surge in jellyfish blooms over the past decade has spawned similar blooms of public fascination with these sea drifters and their apparent saturation of our oceans. Images of fish nets and nuclear-plant intake pipes clogged with gelatinous sacks of tentacles have flared concerns for fisheries and public safety. 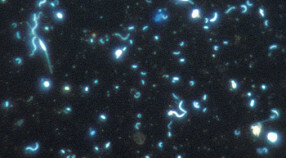 Feb 1, 2013 – The open ocean contains an amazing diversity of extremely tiny organisms called picoplankton. 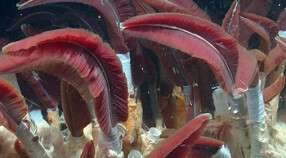 This group includes relatively simple life forms such as marine bacteria, as well as more complicated organisms. 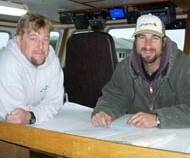 AUV specialists Eric Martin (left) and Doug Conlin (right) help maintain and operate our AUV fleet. Here, they are standing on the deck of the R/V Rachel Carson as it steams out to sea to deploy the upper-water-column vehicle. 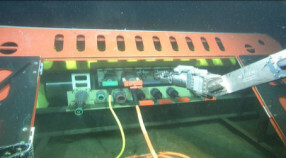 This image shows ROV Ventana's manipulator arm unplugging a deep-sea instrument's cable from the science node on the Monterey Advanced Research System (MARS) cabled observatory.